Ron Vinson, Executive Director of the Presbyterian Heritage Center in Montreat, NC, will discuss the origin and prominence of Twelfth Night from its medieval continental origins through Shakespeare's 1602 play, to observances in Colonial Carolinas. Once the annual peak of parties, gift-giving, and even weddings, the festivities surrounding Twelfth Night gradually disappeared over the last two centuries. Yet hints of this once ubiquitous holiday remain in our present day celebrations. 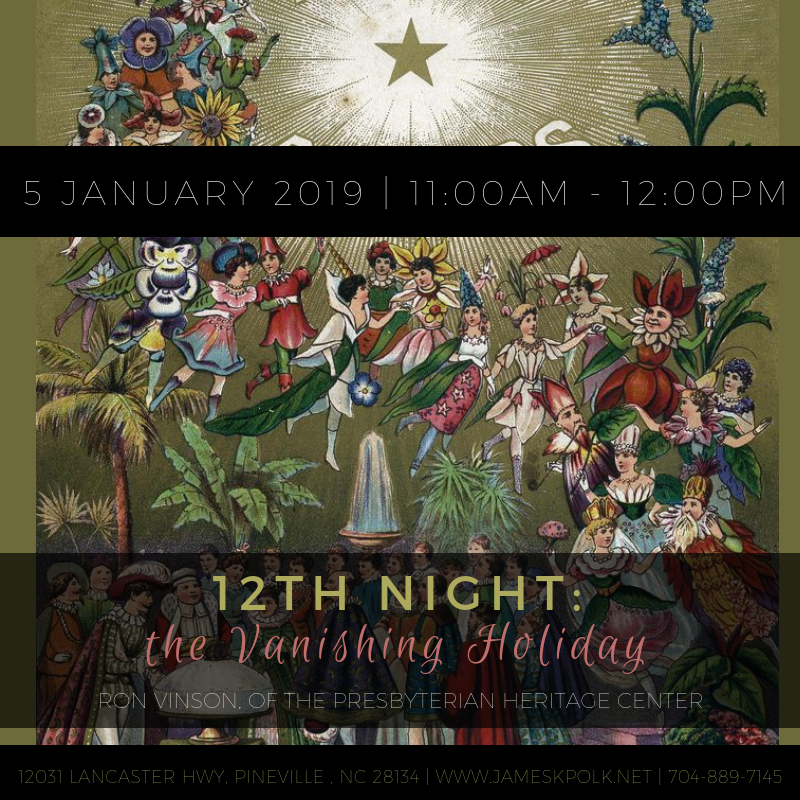 Mr. Vinson's presentation will include illustrations and the opportunity to hear medieval carols and colonial tunes about the celebration of Twelfth Night. Plus, get a taste of the holiday spirit with a slice of King Cake.